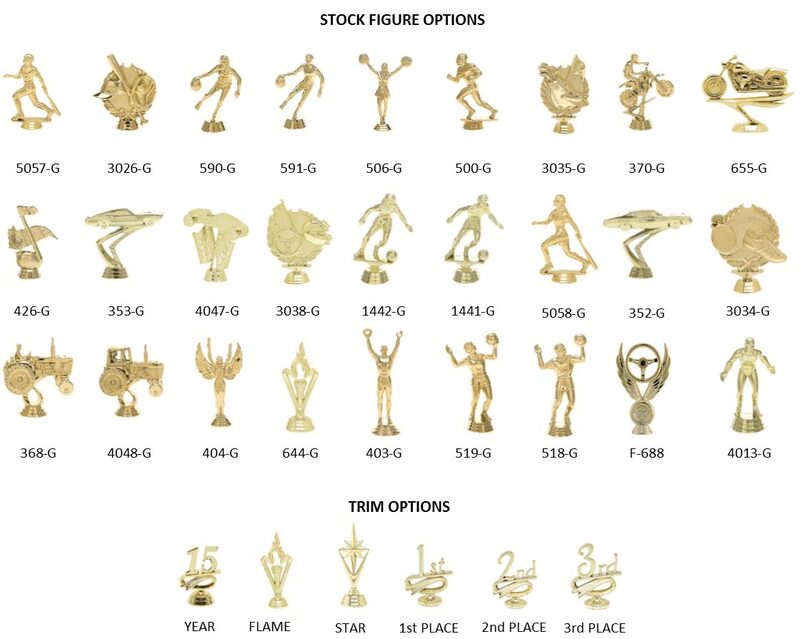 A single column trophy selection that offers additional customization with the mylar selection. The 14 inch height is based on a 5 inch figure and may vary accordingly to the figure selection. This trophy is shipped as a kit which includes the necessary parts and instructions for assembly. Engraving is Free!! Click the button below to add the 14 Inch SINGLE COLUMN w/ RISER TROPHY to your wish list.